We recently caught up with AMDA acting professor Markus Potter, who in May received an Outer Critics Circle nomination for a John Gassner Playwriting Award for Stalking the Bogeyman. Below, you'll get the inside scoop on his many upcoming projects. But first he offered some terrific tips to actors on making monologue selections and on choosing a college acting program. When it comes to college auditions, I tell my students that the most important criterion is that you love your material. You can spend a lot of time second-guessing your choice of material, but at the end of the day, your talent will shine through if you are in love. I cannot emphasize enough that you need to choose a moment in the story where the stakes are high and the character has a strong need. Start the monologue right in the middle of the crisis. No need to “build” to it. Also, remember that you can find a scene and (with careful editing) can create a monologue that other people aren’t using. I’m all about breaking the rules, but I would indeed avoid overdone pieces. Now, if you do Spike Heels better than anyone in the world, I will forgive you for doing Spike Heels. But you need a reason to have chosen material that, frankly, can start you off on a negative note. Instead, you need to become educated about new playwrights and material that you connect to. My strongest advice about conservatories and colleges is to make sure that the faculty has deep roots in the professional community. Your faculty is usually your first bridge to the community. You want to feel connected to the professional world while you are in school. BA vs. conservatory and BFA vs. BA are huge decisions. Do your homework. Talk to people that have recently graduated. In the age of social media, reaching out to recent grads is easy! 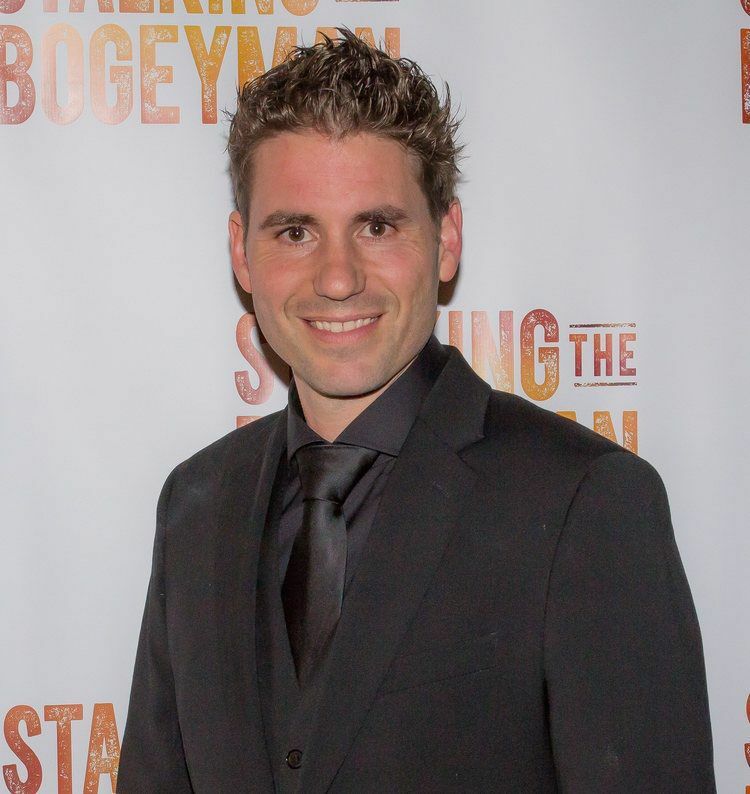 Any news about the West End 2016 production of Stalking the Bogeyman that you can share? Will the show be recast with British actors? We are likely weeks from announcing to the press, but what I can tell you so far is that it’s a co-production with NewYorkRep and a UK producer. We are opening October 2016. I will be directing the production with a UK cast. If people want to look out for updates, the social channels are perfect! Twitter and Instagram @MarkusPotter. What made you decide to transition from acting to directing and producing? Do you plan to audition for acting roles again in the future? Throughout my acting career, I have always had one hand in directing. When I would work as an actor regionally, I would find a way to direct a reading on the side. While I was getting my MFA from Columbia (acting track), I was very lucky to have been taken under Anne Bogart’s wing for numerous directing projects. Over the years, I became more and more interested in directing until I launched NewYorkRep as a way to make directing (and producing) my full-time focus. I haven’t looked back since. I always remind my acting students that we ALL start out as actors, and to keep an open mind to where you may end up in this business. There are so many incredible careers in the theatre, including directors, producers, agents, publicists, general managers, dramaturges, playwrights, designers…the list is endless. The important thing is to never go on autopilot. “Why am I doing this?” I try to ask myself that question every day. At this moment, I don’t foresee myself acting anymore. Transitioning into directing was very much a “finding God” moment for me, and I feel very much at home as a director. From your website, it looks like 2016 is going to be a busy year for you. Can you give a little info on Clutter and Gun Show? For several years, David Holthouse worked for the Southern Poverty Law Center. During that time, he was tormented by the man who raped him when he was seven years old. After David started planning the murder of the man who raped him, he became fearless for his own life. He put himself in extreme harm. For example, he once tattooed himself, shaved his head, and parachuted into neo-Nazi festivals to “out” white supremacists, many of whom wore suits and ties and were linked to some ugly factions of the Tea Party. So we commissioned David to write a story based on his investigative journalism, going undercover, and exposing some of these folks. Of course, a big portion of the play will focus on another one of my pet issues—guns in America, a topic we are afraid to debate, but one that we must absolutely discuss. –Producers Vasi Lawrence and NewYorkRep have optioned the play and plan an off-Broadway production for 2016/17. Clutter is based on the true story of the wealthy, reclusive Collier brothers, who became hoarders in their Fifth Avenue mansion in 1920s Harlem. After years of compulsive collecting, the brothers had become notorious shut-ins in their aristocratic New York neighborhood. Langley Collier is missing and Homer Collier is found dead amongst floor-to-ceiling piles of newspapers, books and junk. The police investigating the case, two brothers with a strained relationship mirroring that of the Colliers, are simultaneously making discoveries about themselves. Narrated by the brothers and the police investigating the bizarre case, this darkly fascinating tale is a poignant and profound exploration of human behavior. A new, dark romantic comedy by Charlotte Cohn and Jason Odell Williams (writer of Handle With Care, which played in 2014 at off-Broadway’s Westside Theatre). I am directing the play at the North Carolina Stage Company this fall, then an off-Broadway production next year. More on Markus Potter can be found on the AMDA website or at MarkusPotter.com.